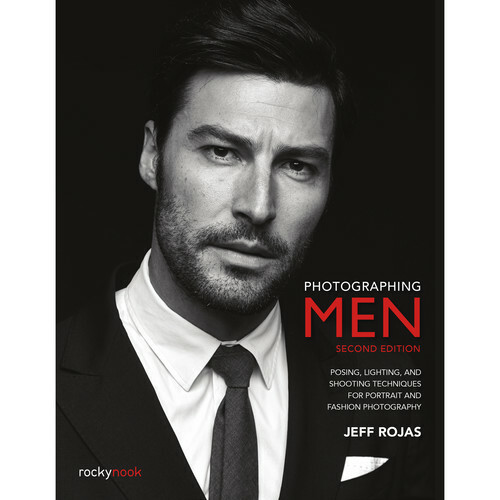 Photographing Men: Posing, Lighting, and Shooting Techniques for Portrait and Fashion Photography, 2nd Edition from Rocky Nook, is an updated version of the bestseller by photographer and author Jeff Rojas. As the photo industry as seen, more and more businesses and individuals are looking for talented portrait, commercial, and fashion photographers who know how to photograph men, and this presents one of today's greatest opportunities for working photographers. Unfortunately, while there are countless books, guides, and workshops on photographing women, the resources and events focusing on photographing men are few and far between until now. Jeff Rojas expertly covers posing, styling, lighting, post-production, and more, showing how to get outstanding results when photographing men.